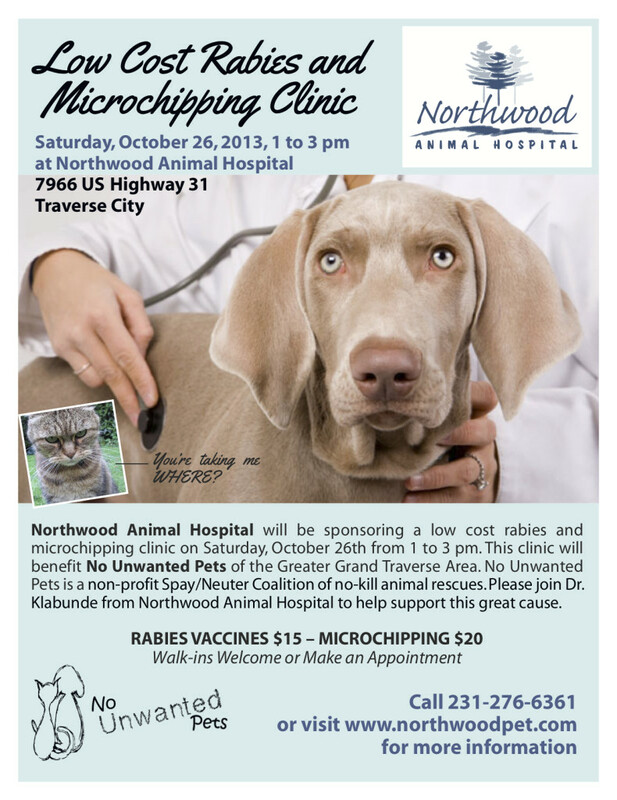 Northwood Animal Hospital will be sponsoring a low cost rabies and microchipping clinic to benefit No Unwanted Pets! This clinic is being held on Saturday, October 26th from 1-3pm at the offices of Northwood Animal Hospital in Grawn. Walk-ins are welcome or you can make an appointment! Rabies vaccines are $15 and microchipping is $20. For more information, please call Northwood Animal Hospital at 231-276-6361 or visit www.northwoodpet.com. 2 Responses to "Low Cost Rabies & Microchipping Clinic at Northwood Animal Hospital"
Do you have a neuter program for dogs anytime in the near future. I have a 6 month old puppy and very interested. Hi Diane, thank you for wanting to neuter your pup. 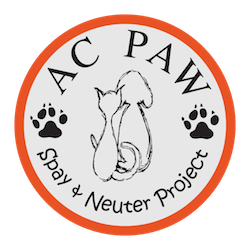 You’ll need to click on “Spay & Neuter Assistance” from our main menu and fill out our application.